Vee Pease is not your usual jewellery designer. A sometime biker with an insouciant attitude toward life, she also has a permanent exhibition of her work at Rock Steady Tattoo Studio in Montague Street, Worthing, where one of her sons works. She lives in West Sussex and being the daughter and granddaughter of artists, her interest in art began at a very early age. 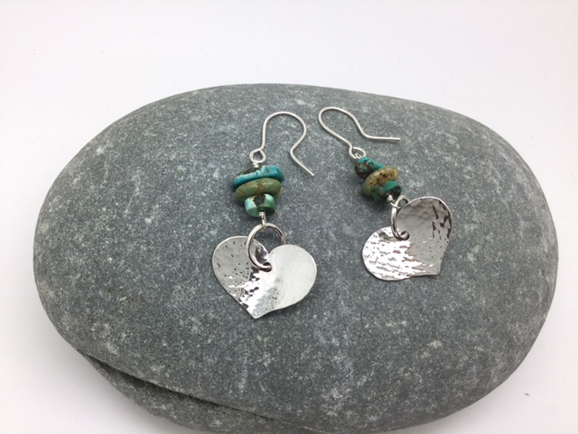 Vee is always designing new things and is currently experimenting with stone settings in her earrings and pendants while also playing around with her love of colour. 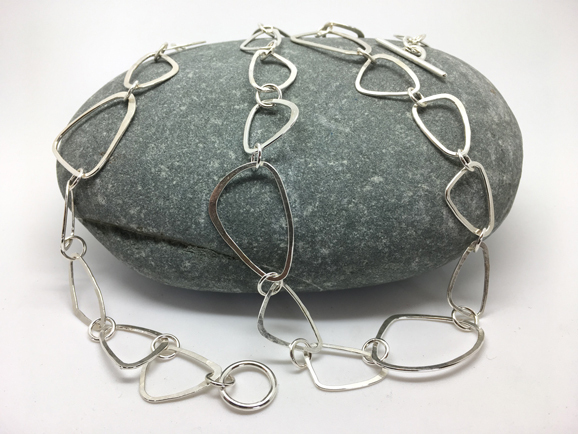 She makes jewellery that can suit all pockets and her work can be seen at two venues this spring and summer. Every weekend in May Vee is at Brighton Artists’ Open Houses at Hummingbird Studio, 107 Havelock Road, Brighton, BN1 6GL, and from 18th to 27th August at Hampshire Open Studios at The Barn, The Buildings, Broughton, Stockbridge, SO20 8BH. Visit vpeasejewellery.co.uk, www.AOH.org.uk and www.hampshireopenstudios.org.uk for further info.